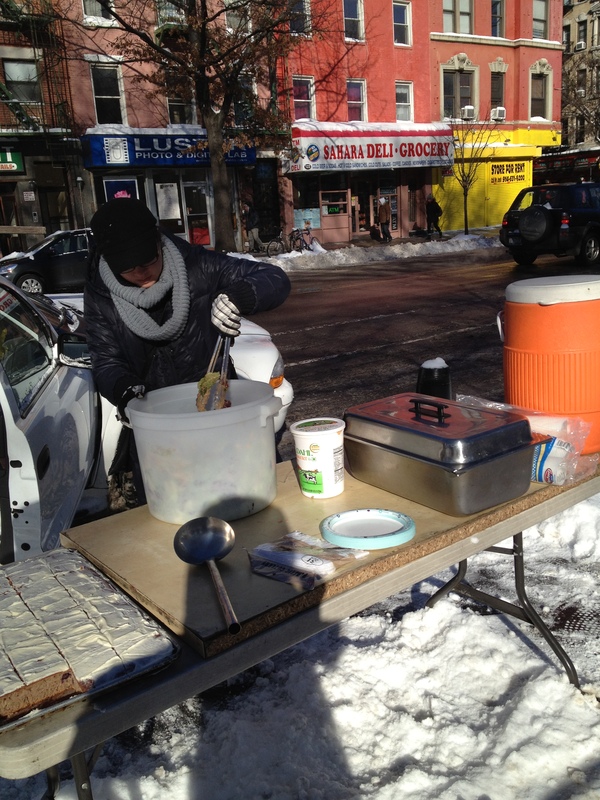 OMG…….It was freezing cold 7 degrees when we started loading the VAN with hot meals to feed the hungry around Tompkins Sq Park (7th St walking distance from NYU campus). Thanx to Adi and other volunteers, who cooked the food and stayed out for 2 hours in freezing cold to serve hot and healthy Pasta, Salad, Banana bread and Hot herbal tea. It was cold but a heart warming experience for all of us. 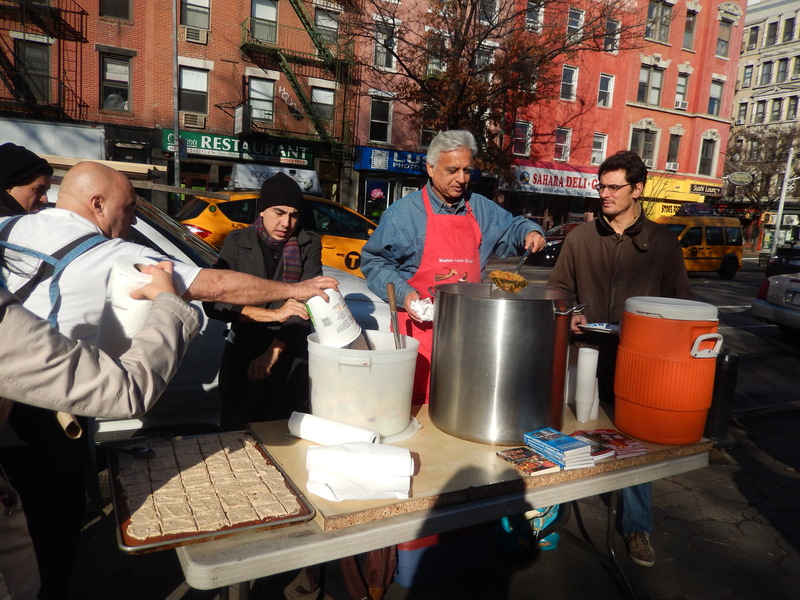 Out of 200 meals we prepared we served 150 and leftover was brought to Bowery Mission which operates a soup kitchen and homeless shelter in lower east side of Manhattan. Hunger has no religion and does not stay home even if it is freezing cold.